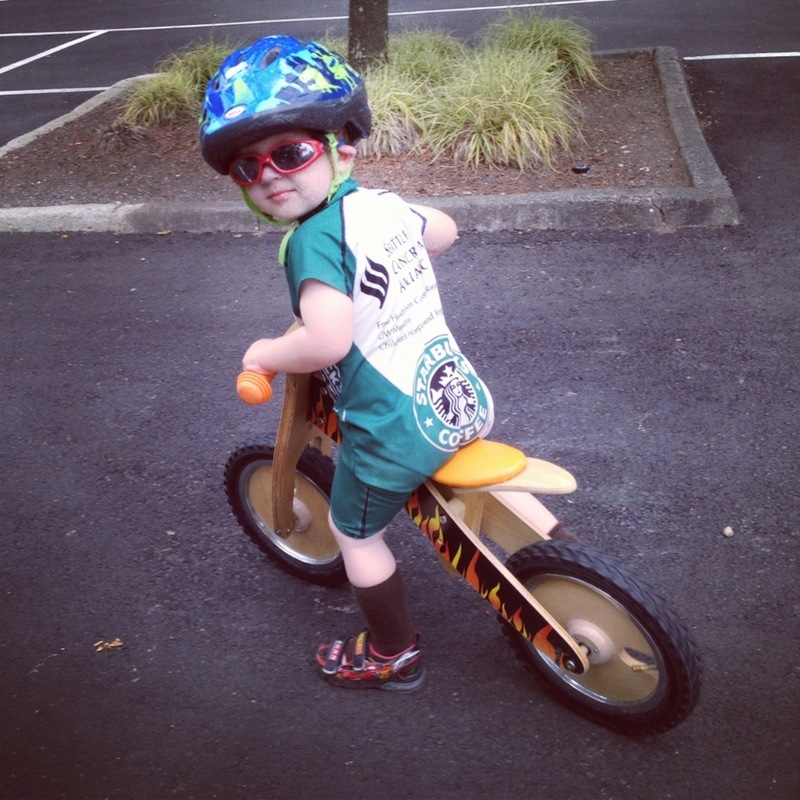 Expected a hard and fast Redmond Derby Days crit when Cooper gave me this look in the parking lot. Think he’s saying, “you need pedals, huh?” After I got this photo, he continued to patrol the warm-up area intimidating other racers. If he passed me again with that look was going to ask if he was wearing his sister’s shades.